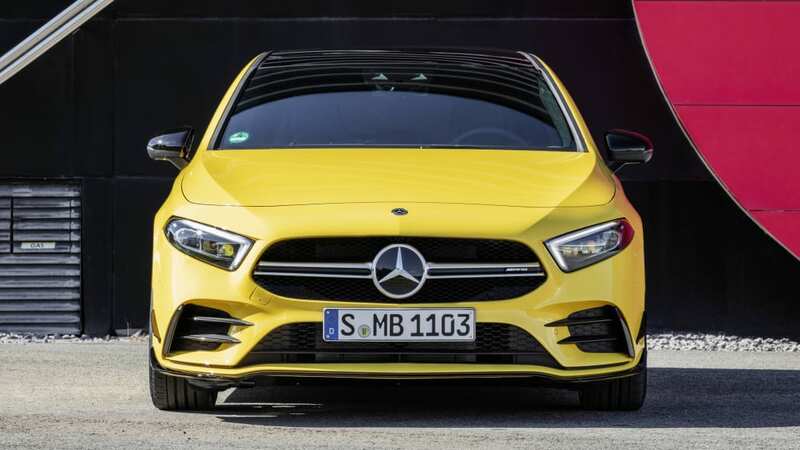 While the 2019 Mercedes-Benz A-Class is handsome and we're excited to soon try it out, we also knew that it would only be a matter of time before AMG did something with it, and that thought has been more enticing. 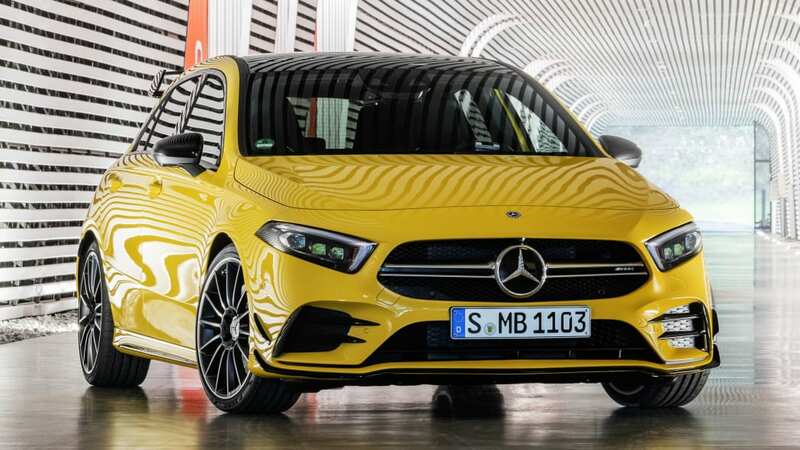 Now AMG has revealed the fruits of its labor, the 2019 Mercedes-AMG A 35. 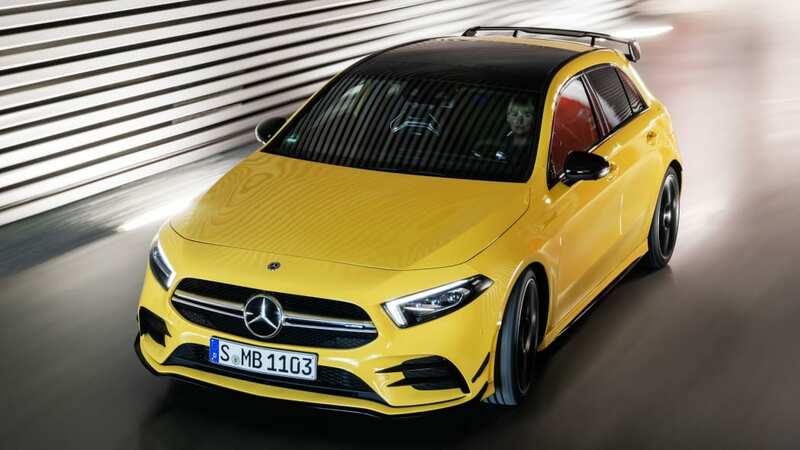 A bit surprisingly, it's notably less potent than the current A 45, CLA 45 and GLA 45 with a turbocharged 2.0-liter four cylinder making 302 horsepower and 295 pound-feet of torque. 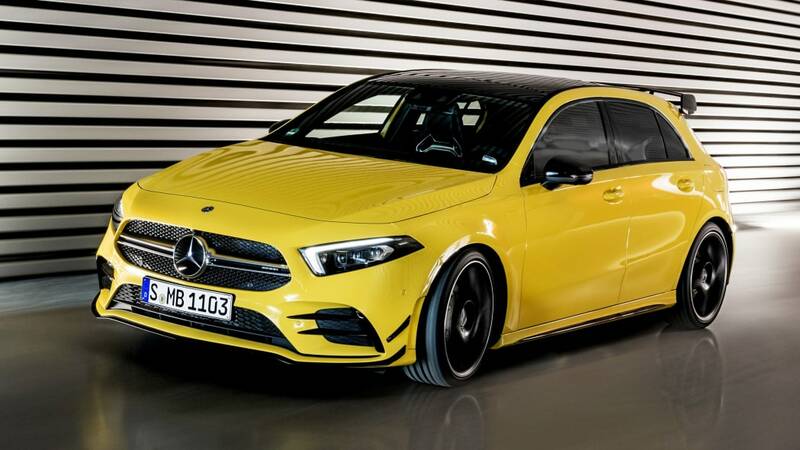 That's OK, though, because Mercedes confirmed that a more powerful A 45 (and presumably other 45 models) is on the way, and was being developed alongside the A 35. 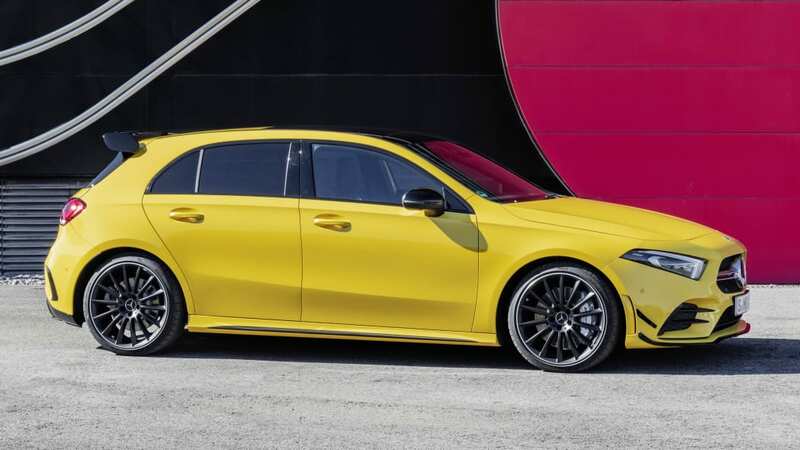 Also, 302 horsepower and 295 pound-feet of torque is nothing to sneer at, since it's more power and torque than the VW Golf R, and the Honda Civic Type R only makes 4 more horsepower and has the same torque. It's also just 8 horses less than a Subaru WRX STI, but 5 more pound-feet of torque. 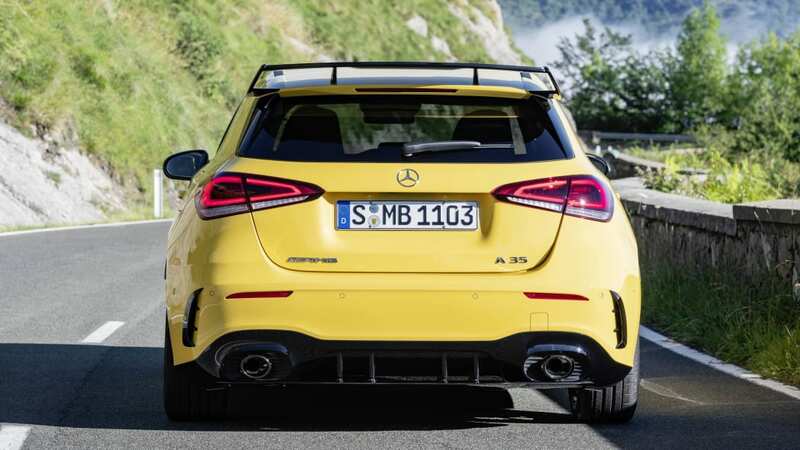 Aside from a plenty powerful four-pot under the hood, the AMG A 35 features all-wheel drive that can shift between front drive or splitting torque 50/50 front and rear. This is done using an electronically controlled clutch connecting to the rear axle. 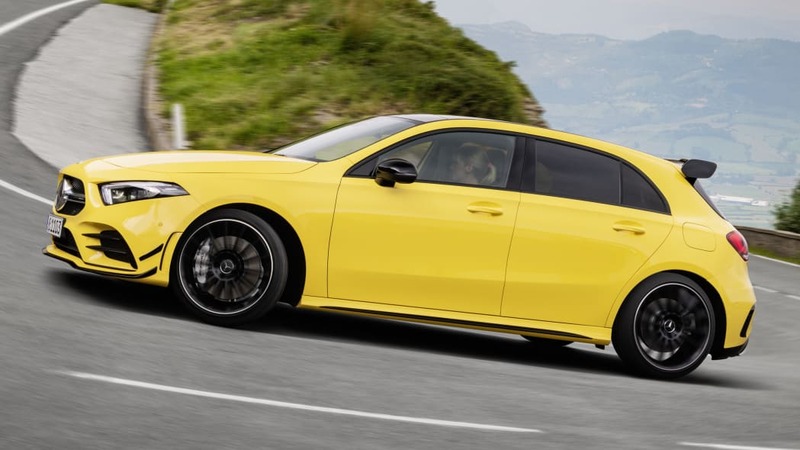 Power also goes through a 7-speed dual-clutch automatic transmission. 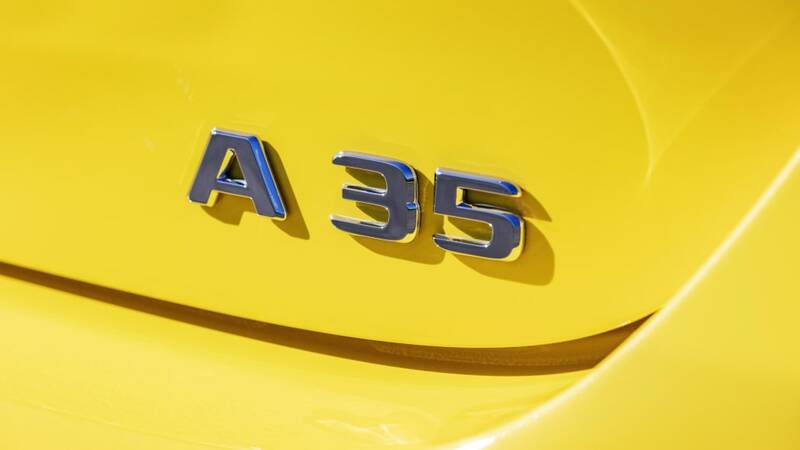 The A 35 has independent suspension front and rear, with MacPherson struts up front and four-link suspension in the back. These are coupled with electronically adjustable shocks. 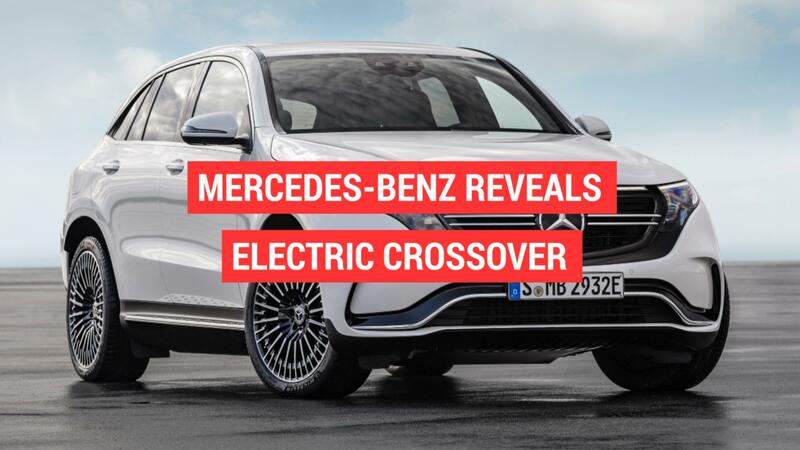 The baby Mercedes has beefy brakes, too. 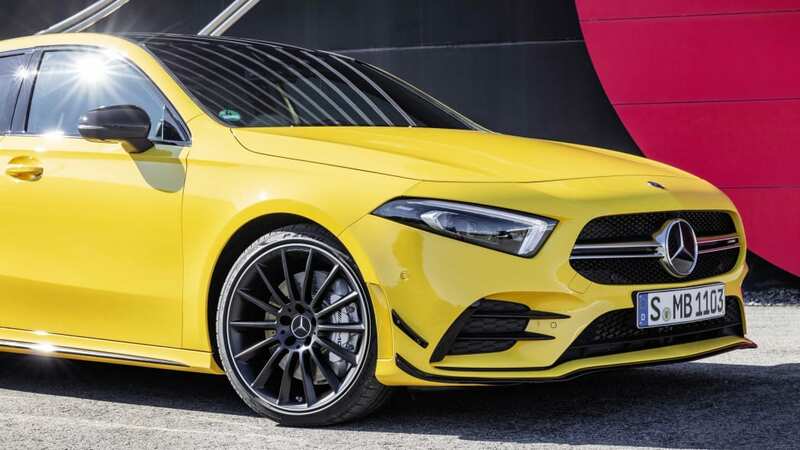 There are 13.8-inch rotors with four-piston calipers for the front wheels and 13-inch rotors with one-piston calipers for the rear wheels, and all the rotors are vented and drilled. 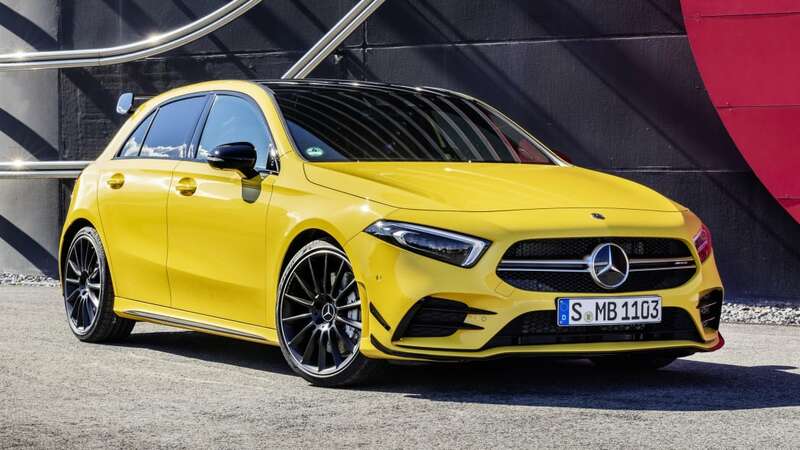 And of course the Mercedes-AMG A 35 gets visual and technological upgrades. 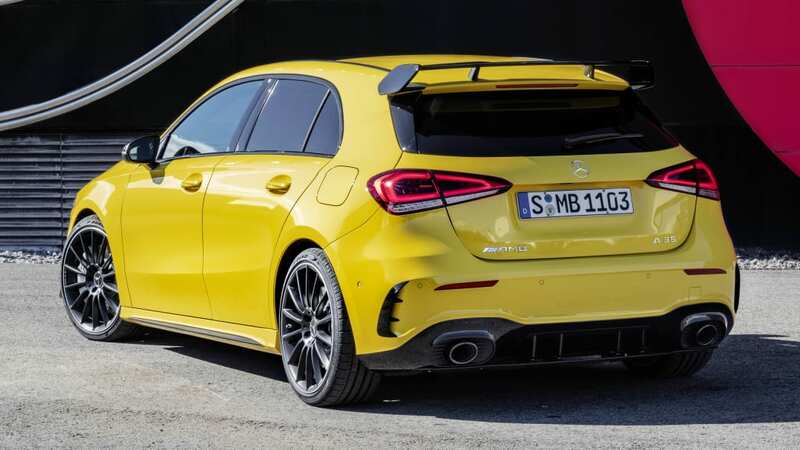 Black trim, front bumper canards, and a big rear wing and diffuser are the highlights of the exterior. Inside things are mostly the same as the regular A-Class, but there's a sporty steering wheel and red accents here and there. The MBUX infotainment returns along with natural speech recognition. 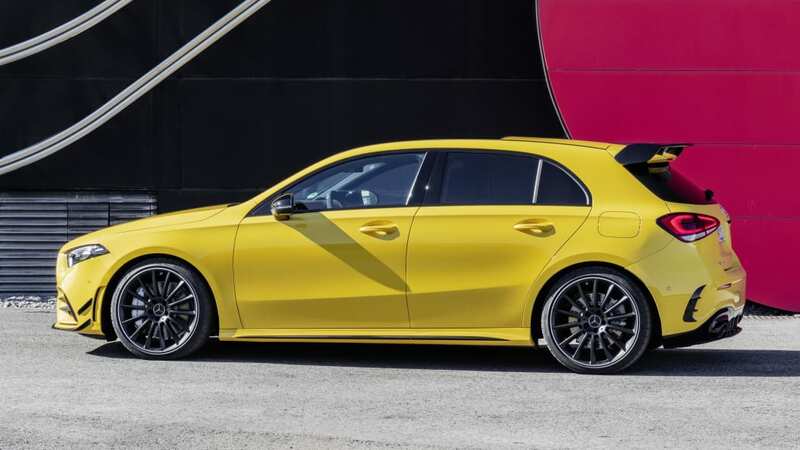 The coolest piece of tech, though, is the optional AMG Track Pace system. This will let you record telemetry such as your acceleration, braking, g forces and and lap times from hot laps at tracks. 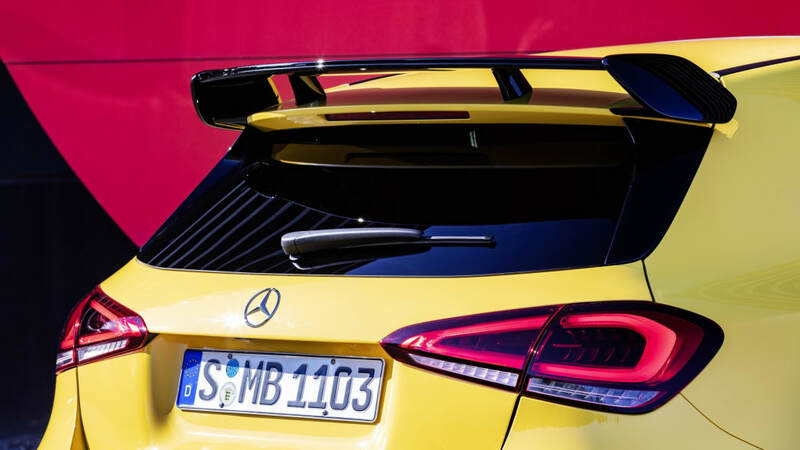 The system can coordinate this information with on-board track maps of major tracks such as the Nurburgring and Spa-Francorchamps, and you can add smaller tracks, too, by driving on them. 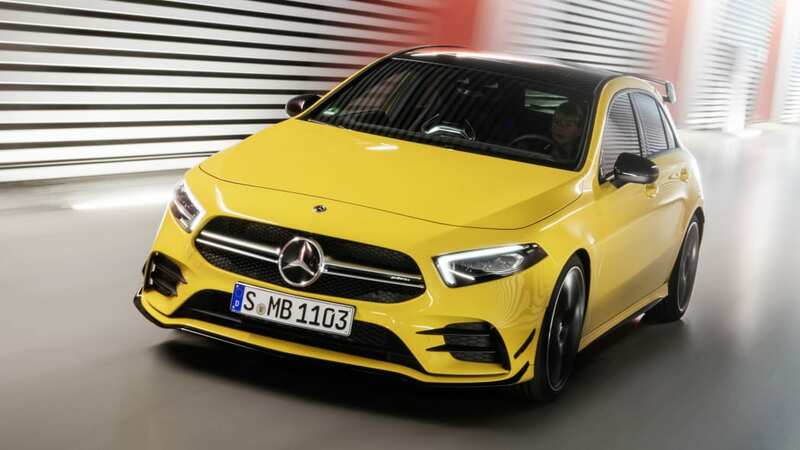 But the most impressive part is that the system can use the track maps to display the optimum racing line on the display screen or the heads-up display. It's just like turning on the track line in racing sims such as Forza and Gran Turismo. 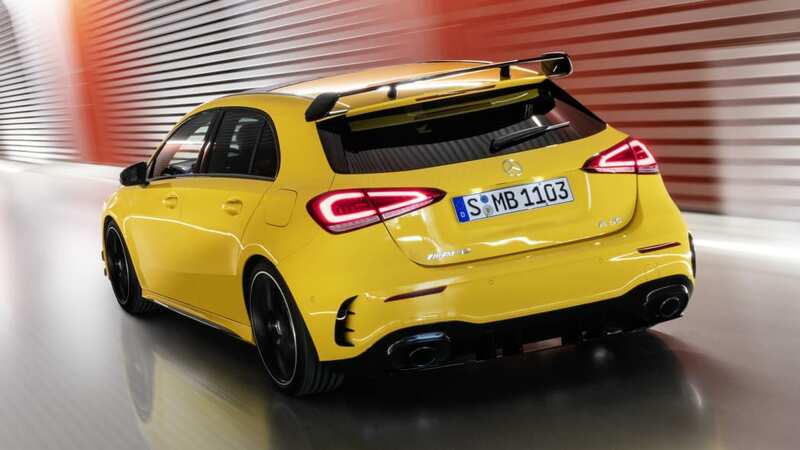 The 2019 Mercedes-AMG A 35 will go on sale next January in Europe. Pricing hasn't been announced yet. No mention of availability outside Europe was mentioned, either. 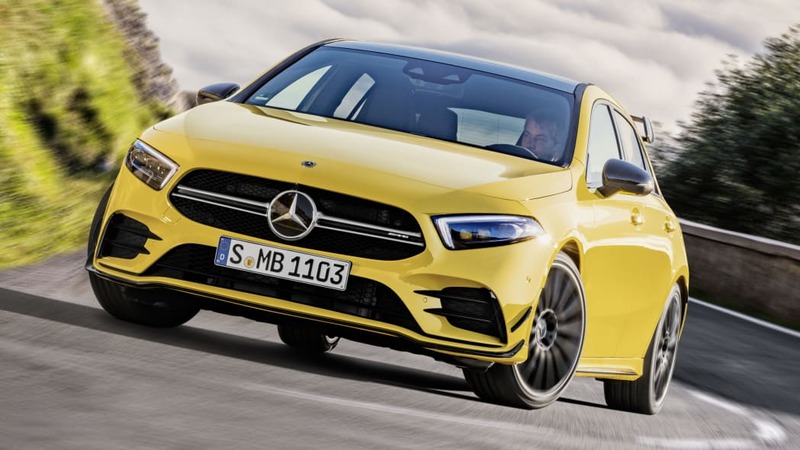 We probably won't get this hatchback version, but it's possible Mercedes could adapt the powertrain and visual upgrades to our A-Class sedan. There's also a chance of getting this model in CLA form in the near future.